Science does not have a theory that explains or predicts the characteristics of intuition, and yet, many great scientific discoveries relied heavily on intuitive insights. 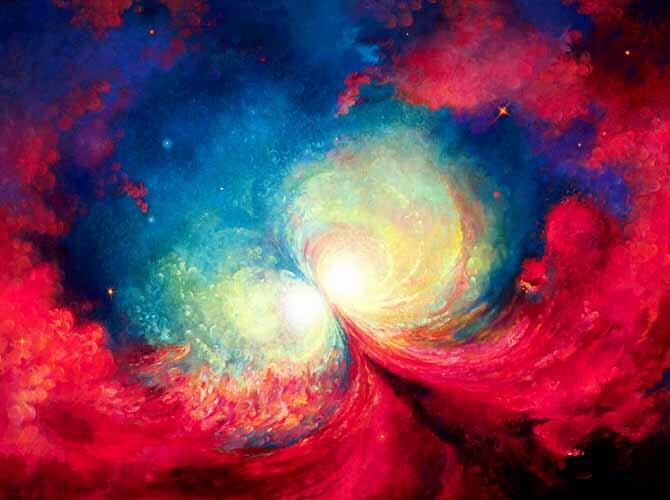 The connections between intellect and intuition are one of the great mysteries of our universe. Isaac Newton supposedly watched an apple fall from a tree and suddenly connected its motion as being caused by the same universal gravitational force that governs the moon's attraction to the earth. John Maynard Keynes, the famous economist, said "Newton owed his success to his muscles of intuition. Newton's powers of intuition were the strongest and most enduring with which a man has ever been gifted." The structure of the benzene molecule was discovered after an intuitive dream and lots of analytical thinking focused on understanding molecules in general, and benzene in particular. A well-documented case of intuition concerns Frederick Kekule's (1829 - 1896) discovery of the structure of benzene. Kekule saw the answer in a dream of a snake coiled and biting its tail. 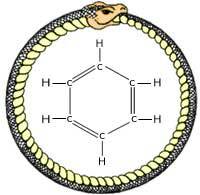 In an intuitive flash, he realized that the molecular structure was characterized by a ring of carbon atoms. Benzene is a 6 carbon ringed compound with 6 hydrogen atoms with the carbon-carbon bonds arranged alternately single and double. This discovery opened the way to modern theories of organic chemistry. Kekule wrote about his dream in his diary "�. I was sitting writing on my textbook, but the work did not progress; my thoughts were elsewhere. I turned my chair to the fire and dozed. Again the atoms were jumbling before my eyes. This time the smaller groups kept modestly in the background. My mental eye, rendered more acute by the repeated visions of the kind, could now distinguish larger structures of manifold conformation; long rows sometimes more closely fitted together all twining and twisting in snake-like motion. But look! What was that? One of the snakes had seized hold of its own tail, and the form whirled mockingly before my eyes. As if by a flash of lightning I awoke...". It is important to recognize that Kekule was immersed in the problem of how atoms combine to form molecules, and he was focused on benzene. These intuitive discoveries seem to occur when there is a strong emotional focus and intention to solve a specific issue. Another good example of the need for emotion and focus concerns Archimedes. "The intellect has little to do on the road to discovery. There comes a leap in consciousness, call it Intuition or what you will, the solution comes to you and you don't know how or why".